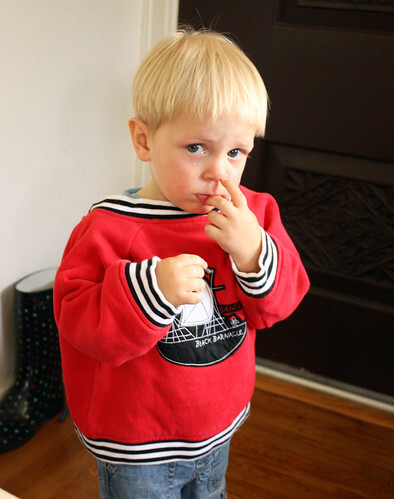 June 4, 2010: Augie spent most of the morning bringing me his pirate jacket and asking me to help him put it on. I tried putting it on the right way, but he insisted that I put it on backwards. He’d wear it for about 3 minutes, take it off and then bring it to me to put on again. Lather, rinse, repeat. 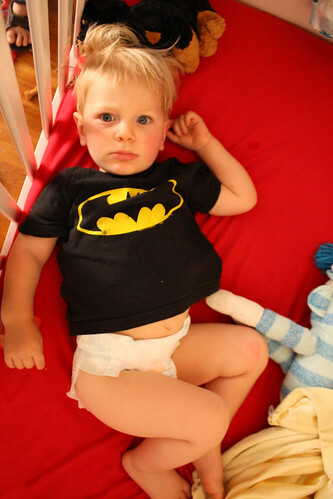 June 5, 2010: My sweet little bear right after his nap. 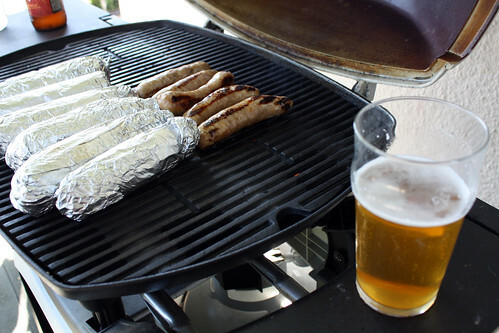 June 6, 2010: Sunday night barbecue: brats, corn and Lip Stinger beer! 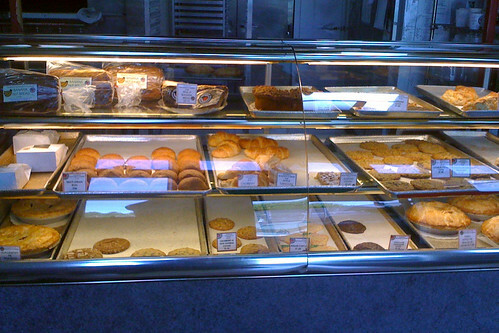 June 7, 2010: August and I picked Wyatt and his best buddy up from school and then the four of us headed up to the bakery up the street for cookies and chocolate milk. 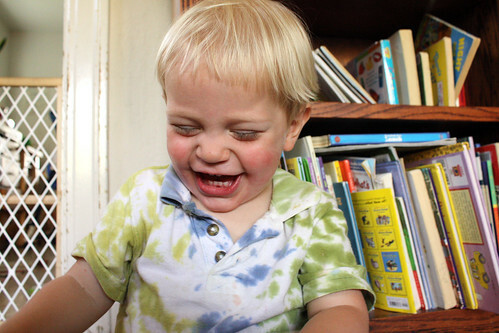 June 8, 2010: Augie got hold of my Chapstick and rubbed it all over his cheeks. When I found him, I had to give him a little tickle because he looked so cute. 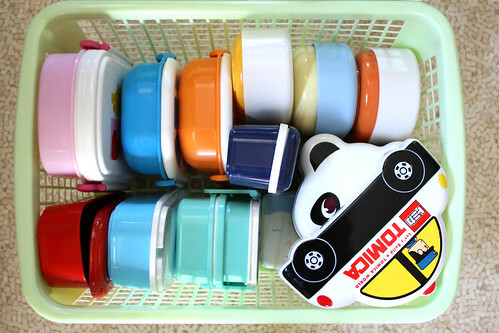 June 9, 2010: I reorganized all my bento boxes which meant matching the lids and dividers together. I also sorted them all so they fit neatly in the basket. June 10, 2010: Wyatt’s last day of school. 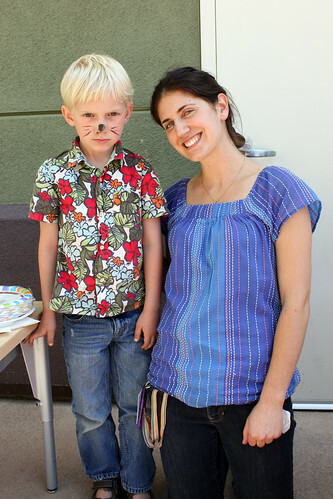 His class put on a little play and had a party for all the parents and families. I can’t believe my big kindergartner is a big 1st grader now.